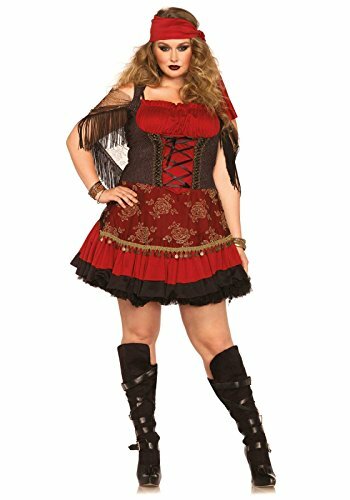 Forum novelties pirate lady costume. Dressing up is fun all year long when you have costumes and accessories from Forum novelties. Featuring a wide range of sizes and styles, you're sure to find what you want for your next masquerade ball, Halloween party, or just for a night on the town. Ahoy Matey! 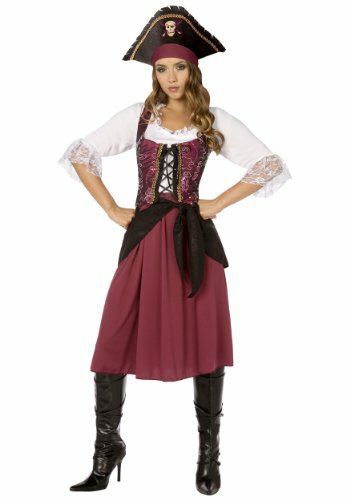 Get ready to show off your swash and buckle skills this Halloween when wearing the Burgundy Pirate Wench Adult Costume. 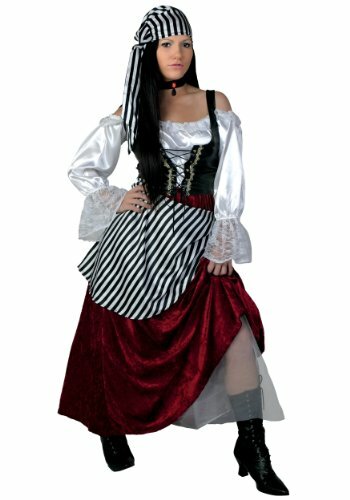 Sail the seven seas in this detailed pirate dress. The burgundy dress includes a matching vest and skirt with a long sleeved white undershirt. The vest is embroidered with delicate designs and ties at the bust. Show who runs the show and wear the captain's hat included with purchase. 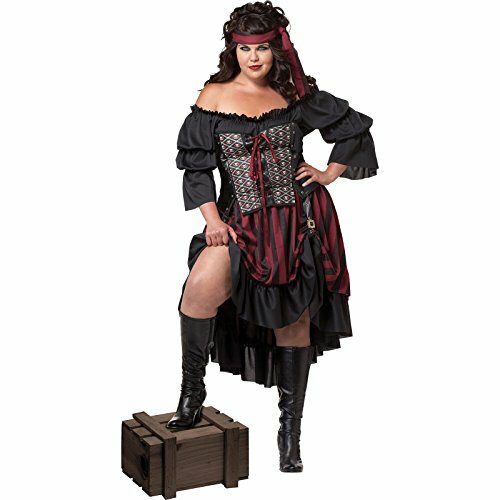 Order the Pirate Wench costume for women today!